Home / Worth writing about… / All / Lets hijack valentines! 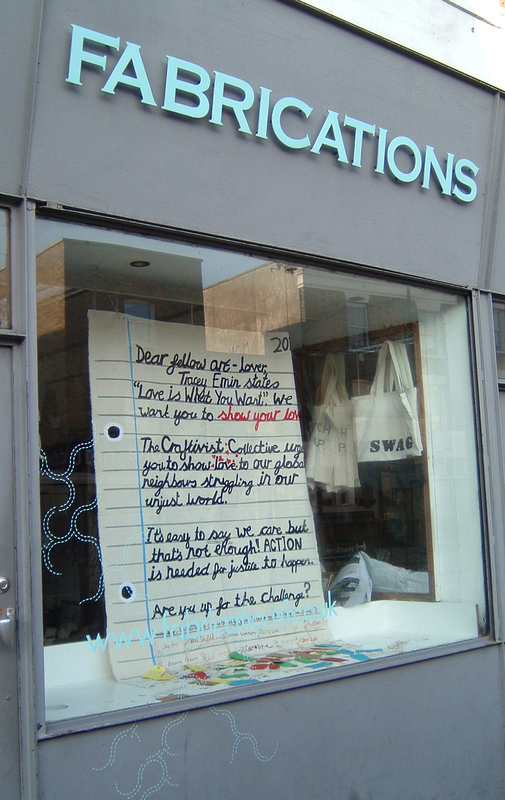 A giant love letter has elegantly floated into Fabrications window this month in time for Valentines day. It is stopping passers by in their tracks, my favorite reaction was 2 small boys who stood, pointed and smiled lots. from independent bookshop’s window ‘News from Nowhere’ window in Liverpool and now is at Fabrications urging passers by to stop, think and act! Open studio and ‘Hijacking valentines preparation session’. 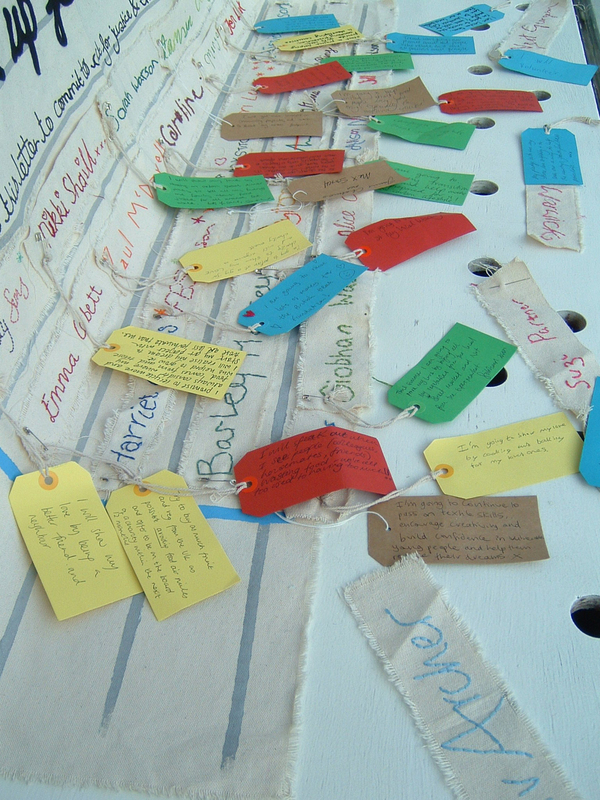 members of the public, beautiful and gentle reminders to ‘show some love’. You don’t need to be in a relationship to receive one of these!